Roadmaster announces partnership with DESECRATED SPHERE for Eurotour 2013! The Roadmaster Booking is announcing another partnership, this time with the Brazilian Technical Brutal Death Metal Band DESECRATED SPHERE. 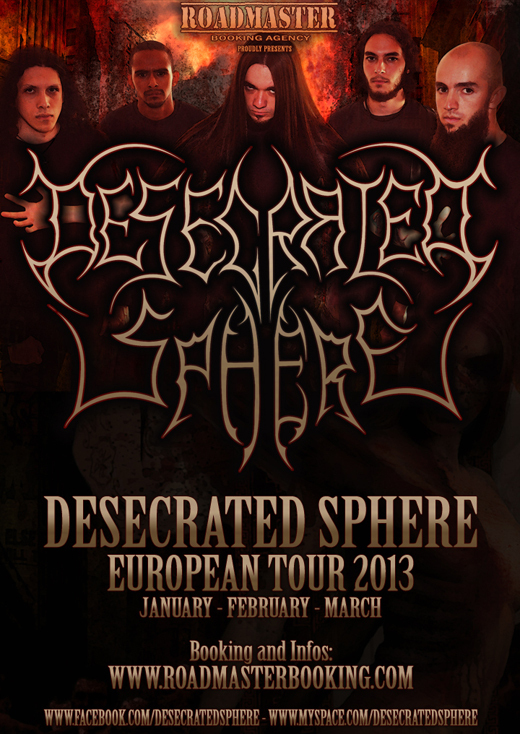 Entitled “Desecrated Sphere European Tour 2013”, the tour will be in January, February and March 2013. The tour aims to promote the album “The Unmasking Reality” which is fast gaining recognition by fans and the media, and is also indicated by various websites and magazines among the best releases of the year. DESECRATED SPHERE was also elected by the specialized media as a revelation artist of 2011. Roadmaster announces partnership with VIOLATOR for Eurotour 2012!